In February 2018, this website got 200,000+ pageviews. Pinterest was a very big part of it. There are many different ways on how to start a blog and turn it into a successful blog. Leveraging Pinterest traffic is one of those ways to grow a blog… which can lead to making money! But not every method is right for every blogger or website. There are a number of reasons one way could work better for another person. And different people have different ideas for what is considered to be a successful blog! Essentially, what you want to do is digest all the information that’s out there, and make it work specifically for you, your blog, and your style. You may have different blogging goals than the person who wrote that article you read. You may have a different personality that makes one method of how to grow blog traffic better for you than another method. There are many different approaches you can take to get your blog up and running and on the way to success and making money! 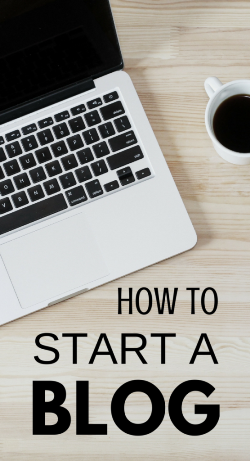 And so, here is just ONE WAY on how to start a blog! Come up with blog post ideas using free keyword tools and WRITE! This is the most important part of starting a blog. No pressure. 😉 You can use this tool here to find out if the website name you want is available. Coming up with a name for your blog could take time, so save this page so you can refer back to it after you’ve chosen your blog name! 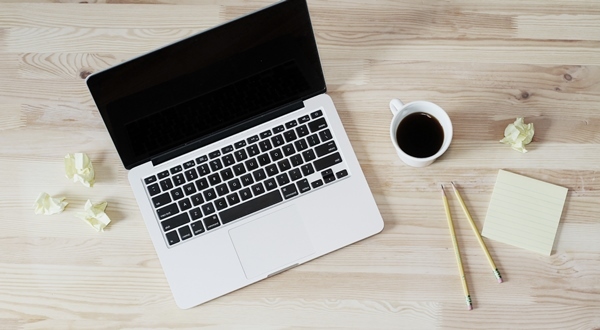 This web host is among the most popular platforms to get started for beginner bloggers. It’s an easy platform to use when you don’t come from a tech background. And because a bunch of bloggers new to the webmaster world use it, it also means that it’s easy to get help for it through their support service — they are used to newbies and simple questions. 😉 So, no tech experience necessary! It’s the host I started out with for this website on the basic plan. I have since upgraded to the “pro” plan with the same host since I was starting to see more website traffic. This web host has frequent sales (or maybe almost always, really), so if you see a price at less than $5 per month, it would be worth going for it. Check the current price here. Minimize the number of plug-ins you use. You may not know what plug-ins are right now, but once you get started with your website, you’ll probably see a lot of people say use this plug-in, use that plug-in. (Social media sharing like this one is a popular plug-in, as an example.) Running tons of plug-ins can slow down your website, leading to problems, so be selective. Website design may sound like a scary thing when you’ve got no experience with it, but once again, there are perks to using one of the most popular platforms! Once you’ve bought your website, you need to install a blog publishing platform so you can write and publish blog posts. This is free and once again it’s easy to do through your web host. Make it a popular blog publishing platform (wordpress!) and it’ll give you lots of options for free web design themes that you can use to get you started on your blog! At the moment I don’t really care to have a fancy design, so I’m using a simple free theme called Zerif Lite. I use the plug-in called Simple Custom CSS to change things like the color scheme of the theme. This does become a little more complicated since you need to figure out the code. But that’s what Google is for, and that’s what makes having a popular theme helpful! You can find other people who were trying to do the same thing, and succeeded! But if you want to make things a little easy on yourself, you can buy a theme too. This will make customizing your blog design a little bit easier. And, for the best shot at getting organic search engine traffic from Google, you want to write about topics people are searching for! One way to do this is to go to Google, start to type in a topic idea, and see what suggestions come up as you’re typing. From there, click on one of the suggestions, and next see if there are any of those commonly asked questions that come up. And finally, you can scroll all the way down to see what related topics show up at the bottom of the page. Another way to find keyword phrases is to use this keyword tool. It can give you a reliable indication of search terms that will be easier to rank for. If you’re spending time and effort writing out a quality blog post, you might as well give yourself the best chance possible to rank for it on Google! This keyword tool shown below will tell you which keywords get lots of search traffic (volume) along with whether or not they will be somewhat “easy” for you to rank high in the search results (kd, keyword difficulty) if you write a blog post with those keywords in mind! And you can do this keyword research for FREE! STEP 5: Grow your blog traffic! Pinterest is often touted as one of the best ways to grow traffic to a brand new blog. The key with getting repins seems to be to add pins to your boards that are popular all over Pinterest right now. So in a nutshell, to grow your Pinterest account, find popular pins and related pins to add to your boards. Instead of thinking of your Pinterest profile as a single account, think about working to grow your boards individually. Start pinning to the board all the top pins that show up. These are pins that are among the most popular on Pinterest right now, and this is the easiest way to find popular pins. Start pinning the pins that show up in the “related pins” section under the pins you just pinned. In the beginning, pin 20-30 pins a day to start with to any given board. You can also move on to pinning suggested search topics that come up when you type in running. For example: for beginners, tips, and motivation come up when you search the term running. Use your notifications to see which ones are getting lots of repins, and start adding more related pins to your boards too. Sometimes this method works, sometimes it doesn’t. Just what you want to hear, right? 😉 So give a try for different topics related to your blog niche. Use the search bar to find different topics and suggested terms that are often searched, and consider naming your boards that term. The idea is that once you have an established board (i.e. lots of repins), when you pin your own brand new pins to these boards that link to your blog, they’ll get repinned too! Of course, this is just one way that can work to get traffic from Pinterest. Group boards are also mentioned by pretty much every blogger who uses Pinterest for traffic. I personally don’t use group boards, and relied upon pinning related pins that get lots of repins in order to grow my Pinterest account. Pinterest was a big part of this website getting to 200,000 monthly pageviews. Once you’ve started to get consistent repins on your boards, you can use this tool and this tool to help you grow your account even more! And you can try out both Pinterest schedulers for free! I currently use them both, and if I had to pick just one, I wouldn’t be able to decide! I’m currently using this Tailwind tool to schedule new pins to go out several times over the first few weeks, and I’m also using it to see which pins get the most traction (repins). Then I use this Boardbooster tool to schedule popular pins to go out on my boards. Looking back, I started using both Boadbooster and Tailwind pretty early on. I was convinced by the stories of the tons of bloggers who talked about how successful Pinterest can be in generating website traffic. So even before starting this website I decided Pinterest was going to be how I was going to try to grow traffic too. So with Pinterest being a big part of my traffic strategy, I convinced myself that the investment in Boardbooster and Tailwind was worth it. Over a year later, I’m still using both. Set your blog up right, and Pinterest traffic = money! What are popular ways for beginner bloggers to make money online? This ad program is what you would typically think of when you think of ads on a website. The ads are automatically selected based on the content of the page you’re reading, or they are based on past websites you’ve visited. With Google AdSense, you earn money when an ad on your website is clicked or viewed. With this affiliate program, you find products on Amazon to promote, and if someone clicks on your link and goes on to buy something within 24 hours (or within 90 days if they add the product to their shopping cart), you get a commission on that sale. 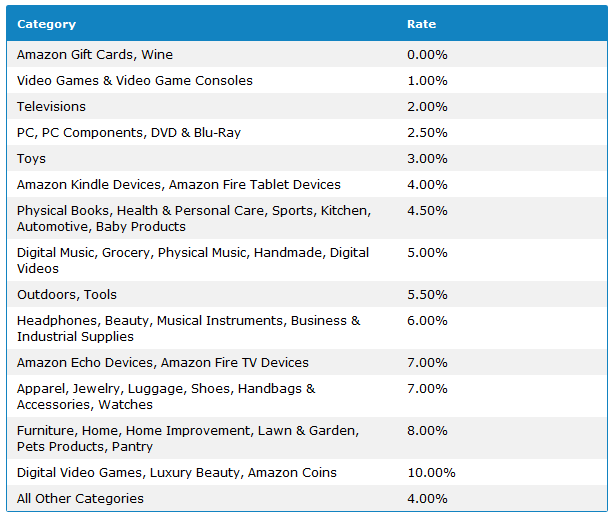 This chart here will show you how much commission you’ll earn based on what type of products you sell. Both of those programs can be among the best ways for you to get started making money online as a beginner blogger. It can help you start to get a basic understanding for how things work in the online marketing world. They are both also completely free to join, and they make it easy for beginner bloggers to join their programs. Just be sure that your blog looks presentable with at least some pages of content and that you follow the policies that they have in place. For example, both Amazon and Google require certain wording to be placed on your website in order to be accepted into their programs. While both Amazon and Google can be helpful in getting you started making money online with a blog, typically it’s not unless you get tens of thousands of visitors (and maybe even hundreds of thousands of visitors) to your website that you’ll start to make an income you’ll be truly happy with. Of course, there are always exceptions, and of course, it also depends on what type of income will make you happy! But that’s why you’ll also want to look towards other ways of making money online through your blog! Other ways to make money include through creating and selling your own digital products, like e-books and e-courses. You can find affiliate programs through other bloggers to promote their digital books and online courses too. You can also use your blog as a marketing platform to sell your personal services to others! If you’re a runner, you can see here for ideas on how to make money blogging as a runner. 1. Keep an open mind! There is no single path to reach your goal to make money online through a blog! You want to keep an open mind because the direction of your blog could go in a completely different direction than when you first started or how you imagined it, and that does not have to be a bad thing. Blogging can be about experimentation, and over time with each experiment, you can see what works and what doesn’t. You might start off your blog with one thing in mind, for example, writing about a specific topic. Then you might write another blog post as sort of an off thing not really expecting much of it. But then it could do really well. And then you write more about that topic. And then you discover that you can actually do a lot more with that topic! All it takes is one blogger to give you an idea that you can work with for your own blog. Follow a bunch of blogs in your niche and blogs that are indirectly related to your niche. Maybe it’s the type of products they’re promoting, and maybe it’s the way they’re promoting those products. Then think of how you can apply it to your own blog. Even if it’s about a topic or product creation that you think you have no interest in, it may still help to broaden your horizon to see what your options are. And you never know if the webinar host will say something in passing that will make something just click! There is no one-size-fits-all of making money when you start a blog! As you continue on your blogging journey, once again, you’ll want to keep an open mind so you can figure out what the best path for you and your blog is! Be a sponge for knowledge! What works for one blogger may not work for another blogger! You are the only one who’s thinking about what’s best for your blog! Don’t be discouraged when you see that it seems like other bloggers are achieving success way faster than you. While many bloggers try to make you feel that they are just like you, the thing is, you really don’t know if they are. They may have some relevant experience and skills from a previous career that they can apply to growing their blog. They may have some extra help with their blog giving them more man power. They may have more time to dedicate to their blog. And more. And even if none of this is true, and they really are (almost) just like you, every blogger has their own path to success. This is also to say… don’t compare yourself to others! While yes, you could say that blogging isn’t for everyone, if you have the determination to work hard and soak up all the information you can, it is possible that you can make it work! And another important thing is also to stick with it long enough! While it is also important to be realistic and quit if it just really is not working for you, you need to also make sure to give it enough time. Unless you are in the 0.01%, your blogging success is not going to come overnight. So if you’re going to start a blog, you want to make sure you’ll be in it for the long game. If it feels scary and fun at the same time, you should probably do it!